GUANGZHOU, China, Nov. 23, 2017 /PRNewswire/ — The “New Era of AI Leads the Future of the Cloud” themed Artificial Intelligence Summit was held in Nansha District, Guangzhou, China on November 17, 2017, as part of the local government’s efforts to further promote the development of a new sector encompassing the next generation of information technology, Artificial Intelligence and Biological medicine (AIB). The event attracted over a dozen internationally renowned technology and financial firms, including Heungkong Group, Microsoft (China), iFLYTEK, Tricorn (Beijing) Technology, Malong Technologies and Megvii. Hosted by Heungkong Group, in partnership with Microsoft (China), with the help of the administration committee of Nansha Development Zone, the summit brought together a number of Chinese government officials and senior business executives. The attendees included CPC Central Committee United Front Work Department former minister and All-China Federation of Industry and Commerce Party Committee former secretary, Hu Deping; Guangdong Province Party Committee United Front Department deputy director, Li Yangchun; Guangzhou Municipal Committee Standing Committee member; Nansha Development Zone (China Nansha Free Trade Zone) Party Committee secretary; Nansha Development Zone administration committee director and Nansha District Committee secretary, Cai Chaolin; Nansha District Committee deputy secretary and Nansha District chief executive, Zeng Jinze; Guangdong Federation of Industry and Commerce vice chairman, Lu Xiaozhou; Industry and Information Technology Commission of Guangzhou Municipality chief engineer, Hu Zhigang; Nansha Development Zone administration committee deputy director, Xie Ming; Heungkong Group chairman, Chi Keung Lau and president, Mei Hing Chak; Microsoft (China) COO, Horace Chow and vice president of Microsoft for Greater China, Teng Wen. In addition, former Japanese Prime Minister, Yukio Hatoyama, was invited to the event as a keynote speaker. On May 3, 2017, Nansha partnered with Microsoft (China) and Heungkong Group to roll out the Microsoft Cloud & Mobile Technology Incubation Program – Guangzhou Cloud & Mobile Application Incubation Platform (Microsoft Cloud Incubation Program). The incubation platform was formally launched at the summit, where 11 AI teams that had passed the reviews during the roadshow were formally invited to participate in the incubation program. To date, the platform has recruited 18 prominent AI teams, all of which have been given rent-free office space at the Heungkong International Financial Center in Nansha for four to six months during which they will be “incubated’. As Microsoft’s 18th incubation platform and the first that targets cutting-edge technology in artificial intelligence, the Microsoft Cloud Incubation Program is highly valued by Microsoft. At the summit, Horace Chow expressed gratitude to the government and Heungkong Group and said they are looking forward to promoting the incubation platform in Nansha. Keeping in line with what the district has dubbed its “1+1+10” series of policies, a program to transform the area into one of Guangzhou’s key commercial and industrial hubs, Microsoft has promised to proactively facilitate innovation across the board with a focus on cloud computing, the internet of things, big data and artificial intelligence, helping boost the development of innovative companies. As one of China’s top 500 privately held firms, Heungkong Group, as part of its plan of transforming itself into a company of the future, has shifted a key part of its focus to the technology sector. In her speech, Mei Hing Chak said that Heungkong Group started to establish a presence in Guangdong Free Trade Zone four years ago, in line with China’s reform and opening up strategy. With a prime focus on innovative financial service platforms, and a strategy which incorporates big data, AI technologies and the Chinese government’s Internet Plus initiative which advocates adoption of the Internet and modern technologies by the country’s traditional industry sectors, the group has been assisting companies in their industrial transformation, helping them find new growth paths. 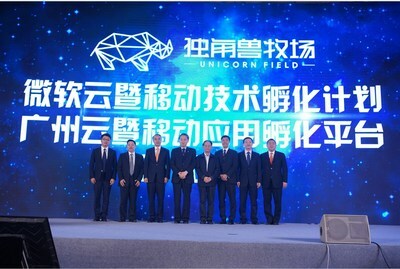 By application of a clever approach whereby Heungkong Group will leverage herd behavior to good effect by having all of the AI startups in one place, the firm has joined hands with Guangzhou Nansha Industrial Investment Fund Management to further the development of the sector through the joint launch of a 100 million yuan (approx. US$15 million) Artificial Intelligence venture capital fund. The firm expects to enhance the success of the effort by putting its 27 years of experience in a diverse range of industries and more than 20 years of experience in finance to use. The fund will mainly provide strong financial support for entrepreneurial teams and start-ups in artificial intelligence, big data, the Internet of Things, cloud computing and intelligent manufacturing. An executive at Heungkong Group, responsible for the fund, said that the group is also willing to participate in the 10 billion yuan (approx. US$1.5 billion) Artificial Intelligence industry fund, initiated by the governments of Guangzhou and Nansha District and leverage its capital and operational strengths to promote the development of Artificial Intelligence in Nansha.